Jefferson School City Center, Carver Rec, 4th St NW, Cville. Jefferson School City Center, Carver Rec, 233 4th ST NW, Cville. Recorded music. Everyone welcome. No partner necessary. No need to register in advance. Pay at the door. Smith Aquatic and Fitness, 1000 Cherry Ave, Cville. Upcoming classes and events hosted by C’ville Parks and Rec. To register go online to http://www.charlottesville.org/parksandrec or call 434-970-3260. Whisper ahhh and smile! It’s Sunday! Come join Garnett. She teaches a drop-in class at Smith Aquatic and Fitness Center from 1-2 PM every Sunday. Set the tone for your entire week with an hour of AT nourishment. Entrance fee is $8 for city folks ($11 for county people) or use a Parks & Rec Access Pass. Love to see you there! Cville Parks & Rec Access Pass Special – through Feb 16 – buy a two month Access Pass and get another month free. What a great deal for three months of Alexander Technique classes (plus entrance to other classes, the pool and two exercise rooms). For Cville residents that is $31/per month. For non-residents that is $51/per month. It adds up to be quite worthwhile. Join a member and be a guest for free on February 7 at this ACAC special event — The February First Fridays Alexander Technique workshop with Garnett Mellen and Sara O’Hare. Want to feel lighter in Body and Spirit? Technique. Learn to release tension, relieve pain, reduce stress and get your mind and body talking to each other. A proven approach to self care, the Alexander Technique teaches how to recognize and unlearn habitual patterns that cause unnecessary tension in everything we do. It is used by people of all ages and abilities to relieve the pain and stress caused by everyday misuse of the body. acac Downtown Mind Body Studio A FREE for members and their guest! If you aren’t an ACAC member, no problem, tag someone who is and come along. Join Sara O’Hare and Garnett Mellen for a class that will help you find more ease through the Alexander Technique. Learn how to disengage from the Holiday stimuli. Take a break and release your body’s (and mind’s) tension. The Alexander technique is a way of learning how you can get rid of harmful tension in your body. It is a way of learning to move mindfully through life applying a method that works to change (movement) habits in our everyday activities. It is a simple and practical way to improve ease and freedom of movement, balance, support and coordination. When: Friday, December 6th. 3:30-4:30 p.m. Cost: Free to Members, who can bring a guest for free. The ACAC class should be fun, but consider taking private lessons from Garnett at the Medicnin Wheel Building on East High Street, Charlottesville. Alexander Technique & Waltz, Together? 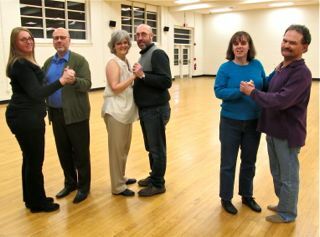 Though the Alexander Technique and American Folk waltz are not usually paired, while learning waltz I teach tools of the Technique. The way you choose to use yourself dictates your tensegrity. At a dance, manage yourself poorly and you may hurt for a week. Manage yourself well and feel vibrantly connection to yourself, the other dancers, and the event. The Technique defines how to more reliably get that connection. The Alexander Technique is a study the use of the self. When I talk about the self I mean the mind, body and emotions, all in one human-being package, humming along together. I mean – those moments when everything is just right, you feel great and everything is connected. We can cultivate that ability to connect, and the Alexander Technique offers tools toward developing this capacity. 5) carry out the desired movement with as much ease and grace as is possible. Apply these steps to any pursuit, not just dancing? Use the mind to bring attention (not tension) to the body and direct the use of the self. Apply the Technique and refine the capacity to tune in. The result is coordination of the body, mind and emotions. How nice to tune in when pursuing the things we love. Alexander Technique private lessons at the Medicine Wheel Building, 1114 East High Street, Charlottesville. For an appointment contact Garnett at the email address garnettmellen@embarqmail.com or call 434-244-0961. Alexander Technique Drop In every Thursday 5:30-6:30 PM. Carver Rec Center. Proposed classes. If you don’t see it on the schedule soon, send a request to Parks and Rec for more AT. Pay at the desk or use Access Pass. Group Exercise Schedule. 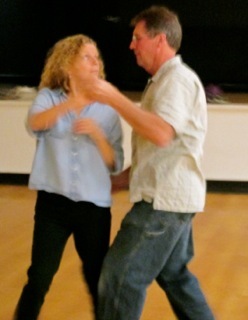 Beginning Waltz Class 6-Week Series Nov 7-Dec 19 at 6:30 PM. Carver Rec Center. The classes emphasizes body awareness. Everyone welcome. No parter necessary. To register in advanced go to www.charlottesville.org/parksandrec or call 434-970-3260. Open Waltz Oct 24 at 6:30 PM. Carver Rec Center. Community dance for everyone $8. No partner necessary. Pay $8 at the front desk. For additional information contact Garnett Mellen at 434-422-0961 or email me at garnettmellen@embarqmail.com. It is my belief, confirmed by the research and practice of nearly twenty years, that man’s supreme inheritance of conscious guidance and control is within the grasp of any one who will take the trouble to cultivate it. that it is no esoteric doctrine or mystical cult, but a synthesis of entirely reasonable propositions that can be demonstrated in pure theory and substantiated in common practice. The body is the physical vehicle through which we experience life. The Alexander Technique offers us a way to do the things we do with less tension. The aim is to move more beautifully. Group lessons are a great way to be introduced to the ideas of the Alexander Technique. Groups also are an affordable way to set time aside to practice “thinking” into the body. 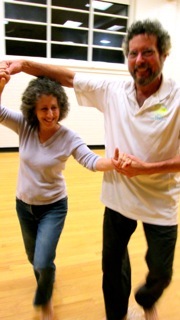 Private lessons allow the time and space to unwinding at your own pace in your own way. The one on one attention of a teacher’s touch evokes support and deepens awareness. The work between a teacher and student explores practical questions: Can you sense your body? Consider how your thoughts influence posture and movements. Can you move in and out of a chair all the while releasing your neck and shoulders and continuing to breath with ease? In a lesson the teacher may have the student rest on a table, or move up and down out of a squat, or walk around the room. Students leave each lesson with homework to remember the body even in the midst of bustling life. The cost for an Alexander Technique session with Garnett is $50 for 45 minutes. 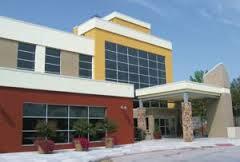 It is advantageous to take at least ten lessons approximately a week between each appointment. Garnett practices out of the Medicine Wheel Building at 1114 East High Street, Charlottesville, VA. She is generally available on Mondays and Tuesdays but other times are possible.